Our family program, Forest Explorers, is for children to attend with their caregiver. In this class, caregivers deepen their understanding of child development, local ecology, natural gross motor development, reading a natural landscape and practicing risk assessment, inquiry-based learning, anti-bias education, and conscious caregiving practices, all in community supported by an experienced Forest School Teacher, with plenty of wild foraged snacks, and ukelele accompaniment! Forest Explorers is a weekly 2-hour class on Friday mornings from 10 am - 12 noon. Each class has about 12-14 families. Enrollment is per family, no matter how many children or caregivers may be present. Often times, families bring a visiting relative from out of town to join our forest family for that day's exploration. Whether you are a backpacking pro, or haven't been in the woods since you were a child, we welcome you! There is no lower or upper age limit for Forest Explorers, though most children are between 10 months and 2.5 years old. We often have a few children in our group age 4-7 who take the morning off from their school day to join us! This class is lead by the loving, dancing, singing forest fairy, Teacher Ashleigh who says, "I hope that we will all deepen our relationship to the natural world, learn, discover, get curious, try new things, explore, and make friends. 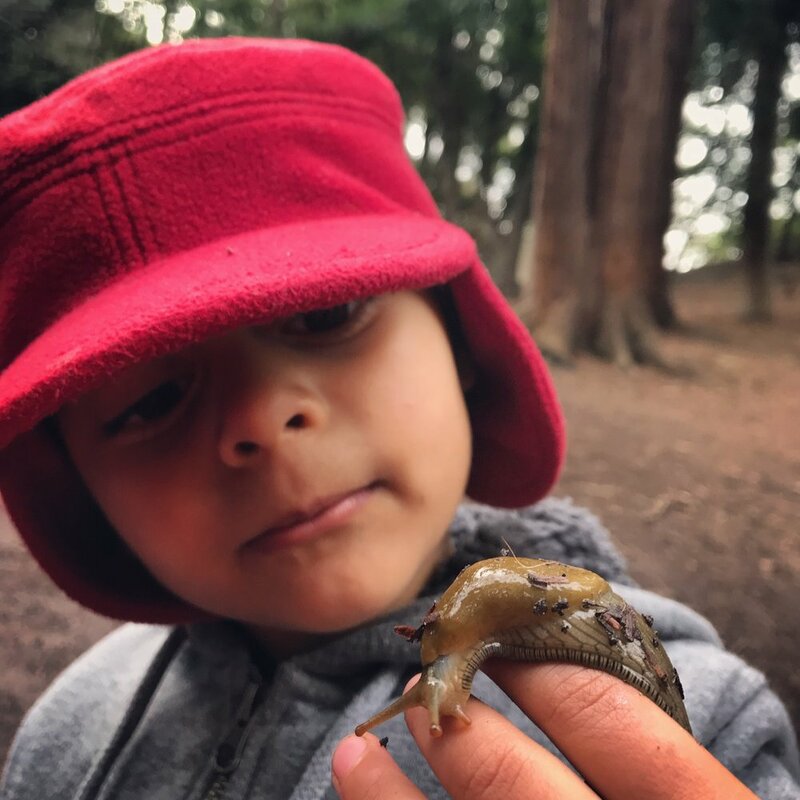 I hope that we can create a community of families who share the common value of giving their children space to grow their relationship with the wild, muddy, wet, beautiful earth in every season. As a teacher, I hope that you will feel welcomed and supported - that you will ask me questions, email with questions or thoughts, express any needs or concerns you might have, and that you will really know that I am here for you and your children." *Please email teacher Ashleigh at ashleigh@berkeleyforestschool.org if you would like to be added to the waiting list if we open a second class. Fall 2019 - Spring 2020 Forest Explorers class registration begins mid-August 2019 once Ashleigh returns from her travels abroad! & Learn more about our tuition equity philosophy if you are interested in participating.